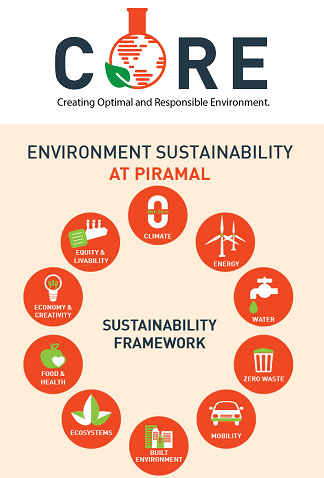 At Piramal, we are fully committed to achieving excellence in Environment, Health & Safety (EHS) and operate in the most responsible manner. 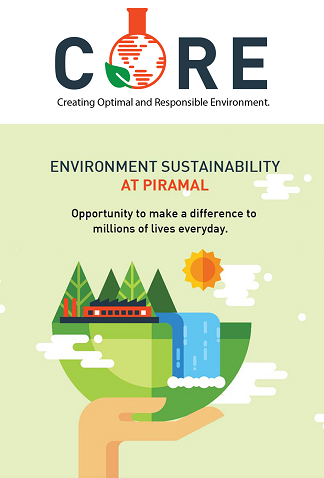 Providing a safe and healthy work environment for our colleagues, contractors, visitors, business partners and stakeholders is a business priority and is linked with the Piramal’s core value – Respect the people. Health and safety are integral parts of a broader environment and workforce sustainability strategy that reduces the risk of harm to colleagues and helps them remain healthy, engaged, and productive. Our governance framework and effective management systems enable us to ensure that management of risk and regulatory compliance are overseen at the highest levels of the company. With our EHS Policy Statement as the foundation, implementation of Piramal's EHS Standards and audit programs are the guideposts for Piramal colleagues around the world. Care for the Environment is one of our core commitment and, as a part of this commitment, we enunciated our EHS & Sustainability Policy. Our EHS & Sustainability policy and Management Safety Principles provides for the creation of a safe and healthy workplace and a clean environment for employees, community, suppliers, vendors and all the business partners. It aims for the highest international standards in plant design, equipment selection, maintenance and operations. The policy is a commitment that we will manufacture products safely and in an environmentally responsible manner. The implementation of the Policy’s is ensured by institutionalizing a robust EHS Management System , adequately supported by a well-defined organizational structure.We also follow PSCI principles and business code of conduct based on it. Investments have been made in process improvements as well as upgradation of effluent treatment plants, using membrane based technologies, multi-effect thermal evaporators, agitated thin film dryers and hazardous waste incinerators. These measures have helped to reduce the environmental burden. With these equipment installed at all our major facilities for recycling of the treated effluent, we have achieved the status of “zero liquid discharge”. We have established and implemented a Safety Management System as per British Safety Council’s 5 Star Safety system and received the “Sword of Honor” for or our Digwal API manufacturing site. A testament of our efforts is the awards we have received on “Occupational Health and Safety”, which demonstrates our commitment to the high standards. We have been progressively establishing ISO14001:2004 compliant Environmental Management System and OHSAS18001:2007 compliant Occupational Health and Safety Management System at our key manufacturing facilities.